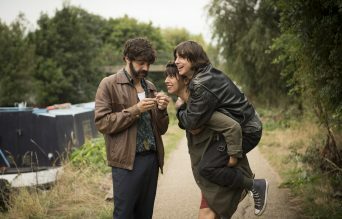 In their mid-30s, Eva (Oona Chaplin) and Kat’s (Natalia Tena) humble, yet carefree, lifestyle in their London canal boat gets turned upside down when Eva presents Kat with an ultimatum: she wants a child. Kat resists, knowing that it will end the bohemian lifestyle she’s always envisaged with Eva. When Kat’s best friend, Roger (David Verdaguer), drops in from Barcelona to party with the ladies, however, the three of them toy around with the idea of creating a baby together. Forced into a corner, Kat sees no other way out but to say yes. 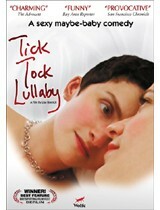 Surprisingly, their offbeat DIY fertilization process is actually successful. As Eva enjoys her pregnancy and Roger fantasizes about his role in his new family, Kat feels like the third wheel and begins distancing herself. When Eva has an unexpected miscarriage, the group’s true feelings are laid bare, leading Eva and Kat to break up while Roger prepares to go back to Barcelona. The three soon realize, however, that they can’t survive without one another, and a new journey begins to build a family. Posted January 7th, 2019 & filed under Movies.